The weather has been amazing, hitting up to 36’C. We’ve had a prestigious UK Chapel Choir summer tour visiting and performing in Savoie Churches, Processions and Events, as well as having a lot of fun and activities around the valley and resort. 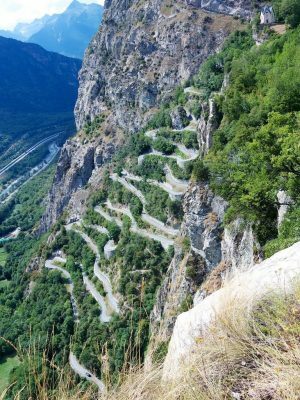 And not least our cycling programme, with tours organised for experts and beginners alike, and ticking off many of the Tour Cols in the area – Madeleine, Iseran, Petit St Bernard, Chaussey, Les Lacets de Montvernier, Lechaux, Hautcour, Cormet de Roseland…to name a few. Onwards (and upwards!) next year. The Tour de l’Avenir (Tour of the Future) finished stage 8 in Sainte Foy station – a fantastic scene in which to have been a part. Some great nights of live music and fine summer evening dining on our bar and restaurant terrace. It isn’t too early to plan for next summer, so call us for family holidays, cycle tours, school or corporate events. We specialise! And as winter is now coming, all the airlines and eurostar have published their timetables, prices are still low, so contact us straight away to reserve your favourite accommodation and holiday services. Great news from Sainte Foy: snow guaranteed! The resort and piste team did an amazing job last winter showing their incredible expertise and the technology available – with limited snow at the start of the season, Sainte Foy had every piste open from day 1 – and this year looks even better. Snow cannons and new technology has been built into place on even more of the key resort pistes to the extent that the Tourist Office are now GUARANTEEING snow availability in Sainte Foy, leading the way yet again across the Alps and the world. There is also a brand new piste being built to take advantage of another shoulder of the Fogliette piste and opening up a whole new ski area in the pisted part of the resort from this December. We are delighted to introduce a brand new catered chalet in our portfolio – sleeping up to 12 people, with a huge open plan living area, west facing balconies and views across and down the Isere Valley. 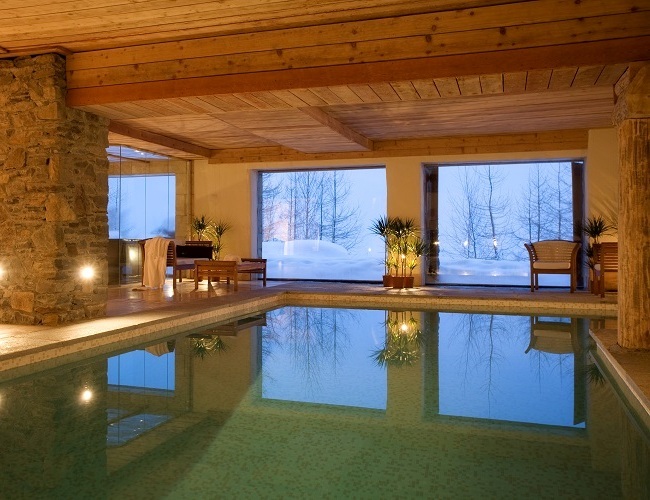 Chalet Sassiere will also have access to our acclaimed Venture Ski Concierge Facilities: Swimming Pool and Spa, Outdoor Hot tubs, Childcare and Creche facilities and of course close to the No. 1 rated Black Diamond Lodge Apres Ski Bar and Restaurant. and many other touches to make your family ski holiday run smoothly. What is included in our Sainte Foy Catered Chalets? What is included in our Sainte Foy Self-Catered Chalets? Thinking of your first family ski trip? It can be a minefield, so we are here to help. Read our information about first-time-skiers and don’t hesitate to give us a call on +44 207 558 8278 where our friendly team are here to chat you through the best ways to plan, prepare and enjoy your holiday. We’re happy to call back free of charge as well. DON’T DELAY! YOU NEED TO PLAN AHEAD WHEN BOOKING A PEAK PERIOD SKI HOLIDAY. Get in touch with us now at guest.services@ventureski.co.uk or send an enquiry form so we can give you the information you need.